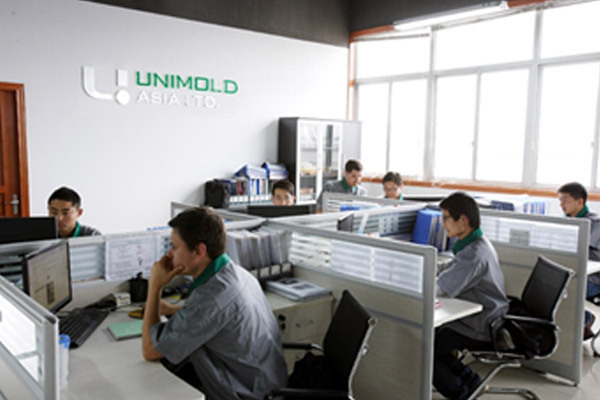 By virtue of our design office located in the heart of our factory, Unimold offers extensive expertise in the design of plastic injection molds. 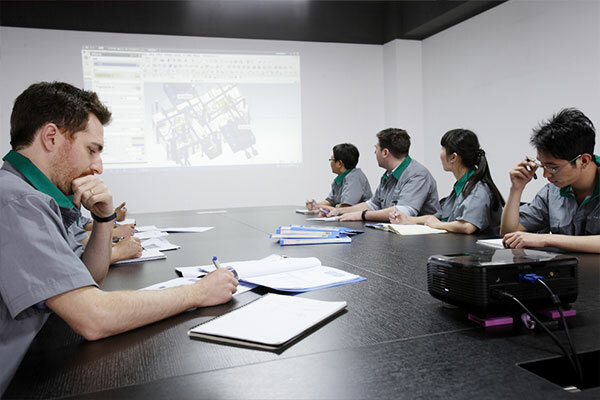 Our team of experts is made up of six computer-aided design (CAD) draughtsmen and two computer aided design, computer aided manufacturing (CAD-CAM) draughtsmen, three European project managers and five Chinese project managers. 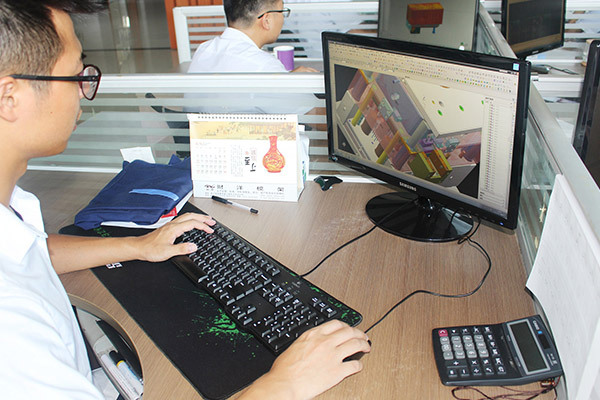 We work with the latest generation software (Unigraphics, Catia, and Solidworks). From the part analysis, through to the testing phase and final delivery of the mold, a single unique technical contact will be in charge of your project. The latter will be located directly on the production site in close proximity to the various teams, providing daily monitoring. Efficiency, responsiveness, and excellent technical performance are our objectives. With concern for the highest quality, we perform an in-depth preliminary part analysis that covers the optimisation of parting lines, thicknesses, and anticipation of possible production injection complications. Our design office practices common international standards and respects the customer’s specification at every stage, integrating them with your work habits. Returning customers can benefit from a continuously updated checklist of technical and personalized specifications developed over the various mold projects previously carried out. In the interests of confidentiality, all digitalised model data and test parts remain in-house. To anticipate problems that may take place during the molding process, we have an in-house technician trained in rheology studies. We can thus provide you with Moldflow studies. Unimold Asia is an expert designer and manufacturer of molds and tooling for injection plastic. Our expertise extends from prototype molds to mass serial production molds.